IDF, Israeli Army Home Front Command / Civilian Defenses Corps 100% Cotton Fatigue "Bet" Combat Olive Green Complit Uniform Set + Belt + Boots + Beret + Shoulder Tag + Army Socks + 5 Warrior combat badge + IDF Dog Tag (Diskit) - Personalized Engraving Custom Made. 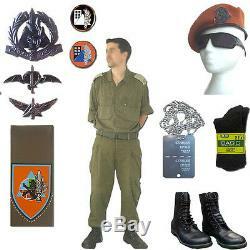 This Israeli Army / Military / IDF, Home Front Command / Civilian Defenses Corps authentic Combat Olive Green Uniform Set includes. Uniform set - Shirt & pants. 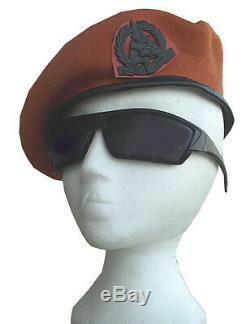 100% Cotton Israeli Army Heavy. Duty Olive green authentic fatigue Unisex Made in. Official Supplier to the IDF. 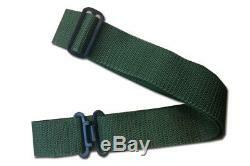 Regular Olive Green Army belt. Israeli army / IDF military. Home Front Command / Civilian. Home Front Command / Civilian Defenses Corps. 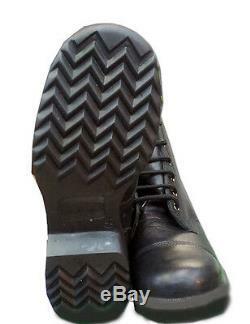 The IDF Combat "Black" boots. Israeli Army Zahal IDF Dog Tag (Diskit) - Personalized. Israeli Army / Military / IDF Home Front Command / Civilian. Defenses Corps Authentic Unit symbols set. Home Front Command Search save and Rescue Pin. Two Home Front Command enamel pins. Givati's Tank Hunters Company Pin. "GUR YISHAG" Home Front Command Search and Rescue plotoon. 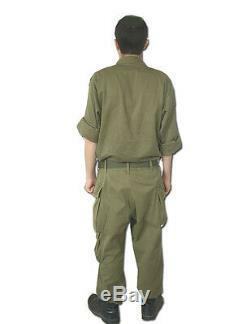 The Authentic fatigue IDF Israeli Army Heavy Duty uniforms set of the Israeli Defense Forces Unisex Uniform Shirt & pants &belt. 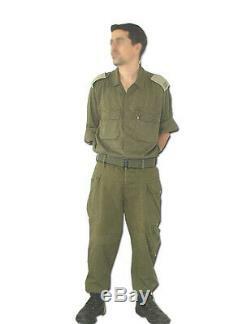 The IDF Israel Army 100% Cotton fatigue uniform is being used as "Bet Uniform" for labor activities inside the IDF bases as well as for training and fighting activities. Two openings for ventilation in both armpits. Double fabric on the elbows. Right side - deep big pocket on hip. Left side: deep big pocket on hip + small pocket under it. Double layered cloth over the knee areas. In order to reduce wear and tear and to make it more durable and suitable for training there is a double-layered strengthened cloth to protect the knees and elbows area. The Green Fatigue Belt (General Service) is the standard belt of the Non Commissioned soldiers of the Army and the Border Police. It is used by all the compulsory service soldiers when wearing the Day Uniforms, and by Army, Air Force and Navy as Labor Uniform Belt. It comes in one size, adjustable by buckle to fit all sizes. 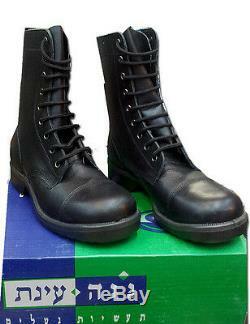 Maximum length of 105 c. Combat authentic Leather Light Black Army Boots specifications. Made out of fine leather and build to last long difficult missions and patrols in all situations. Designed and manufactured especially for the IDF standard. Made by "NOGA EINAT" Shoos & Boots Factory. 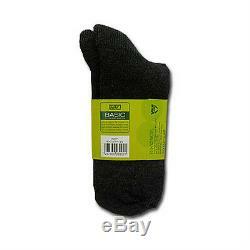 Polyurethane double - layer (in boots sizes 40-46) or. Polyurethane single - layer (in boots sizes 39, 47, 48). Made out of 80% Cotton, 15% Nylon and 5% Lycra. S / M / L / XL / XXL / 3XL / 4XL. One size, adjustable by buckle to fit all sizes. Euro Sizes: 39, 40, 41, 42, 43, 44, 45, 46, 47 & 48 are available for now!! Israeli Army Zahal IDF Dog Tag (Diskit) - Personalized Engraving Custom Made specifications. 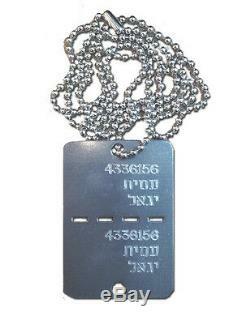 This IDF ZAHAL Personal dog tag (called by the Israeli soldiers "Diskit"), conforming to the standard, engraved with your own personal details (Name and date of birth or Passport number) in Hebrew only. Dedication of 6-word-text is possible in Hebrew only. The Israeli Defense Forces dog-tags come with a stainless steel ball chain. It is an Official Israeli Army Soldier Dog Tag. Leather Light Black Army Boots. Personalized IDF Dog Tag (Diskit). 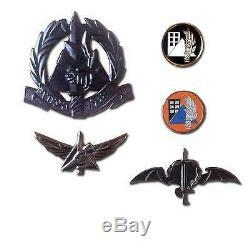 5 combat unit badges only. The item "IDF Israeli Army Home Front Command Cotton Combat Fatigue Uniform Full Set" is in sale since Wednesday, May 30, 2018. This item is in the category "Collectibles\Militaria\Other Militaria". The seller is "samiron43" and is located in kiryat ono, default.